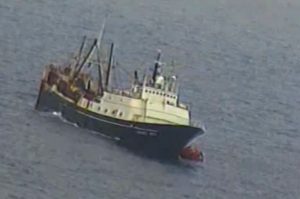 The sinking shares many aspects of the ALASKA RANGER sinking which occurred in 2008, in which five Fishing Company of Alaska crewmembers perished at sea. After the 2008 ALASKA RANGER sinking, members of the Stacey & Jacobsen law firm represented survivors who testified before the United States Coast Guard Board of Inquiry. Members of the firm also attended the Coast Guard’s hearings and interviewed survivors to determine the likely cause of the casualty. After the ALASKA RANGER sinking members of Stacey & Jacobsen represented several survivors in claims for compensation before State and Federal courts.